Well, Tuesday was PACKED with information, translations, questions, clarifications and time spent really understanding what our client was keen to work on. It’s a seriously complex process of Chinese discussions, translations, questions, discussions, translations and then the whole process continues with each element of the session. 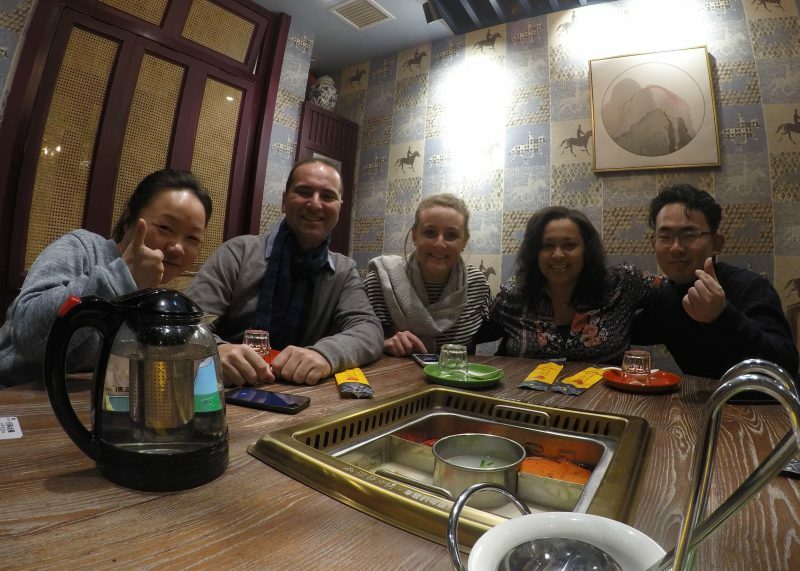 During our lunch break however we had a relaxing time when we headed out into Changzhou to explore and have some food. 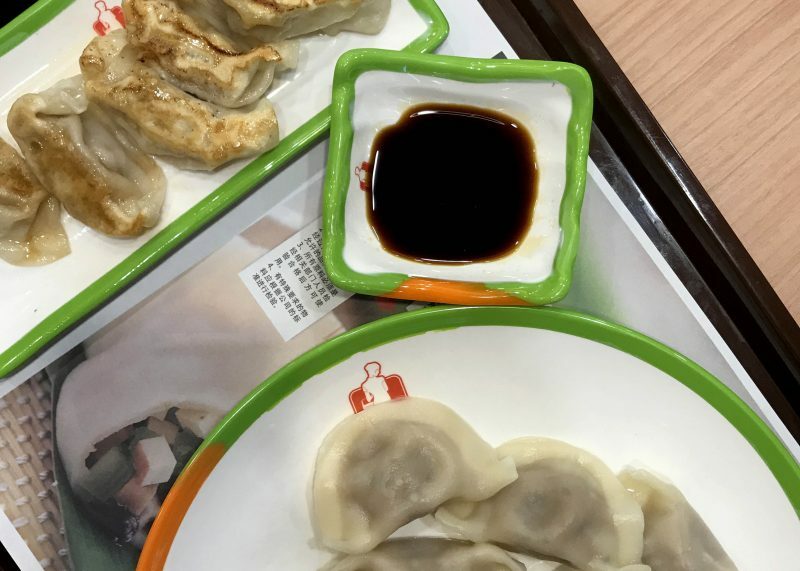 Today, dumplings were on the menu. Not only were they delicious, but they were also really cheap – two portions and bottle of water cost me just £2. Here you can see two types, one boiled and one friend – both with pork inside, plus some soy sauce to dip. 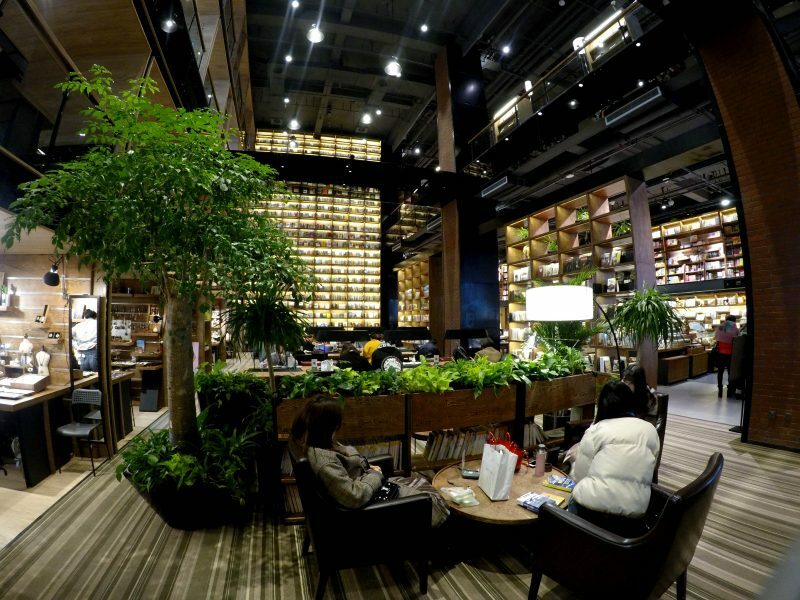 We also visited this insane department store with a really amazing bookstore at the top. There was food, drink, a cinema, like a food market, beauty, electronics on 16+ floors, it was honestly like department store shopping on steroids! During the evening we were invited by a government representative, the Vice Director of the Publicity Department to a welcome dinner. 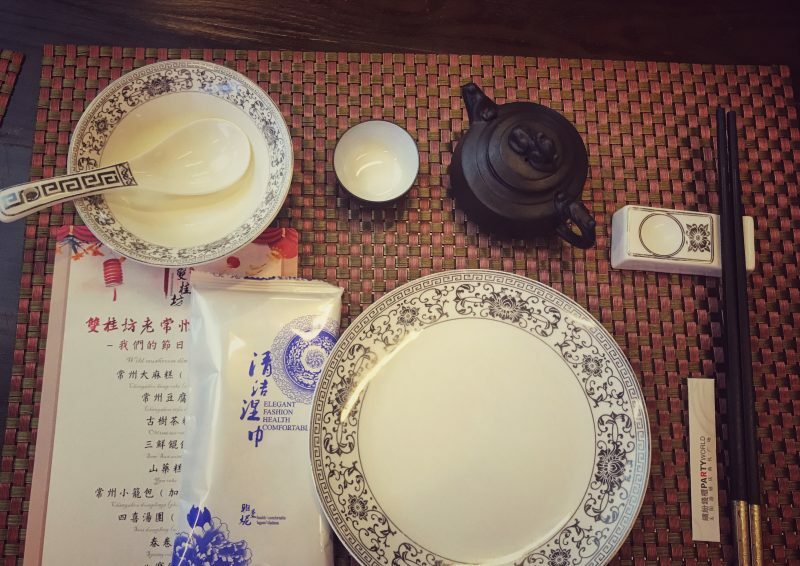 We had an incredible, thirteen course meal of traditional Changzhou dishes including Changzhou Hemp cake, old tree tea cakes, sixi dumpling and yunnan red lantern festival – each with their own Chinese culture, history and story. 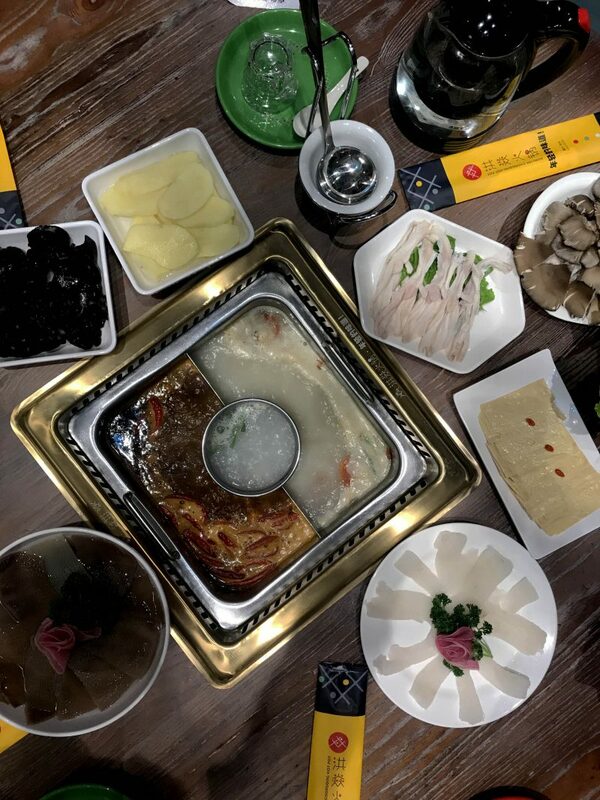 The table we sat was enormous – I was glad to be served my own dishes this time as a lazy susan in the centre of this one would have taken forever to get any food from hahah. Another interesting day spent with our client (reminder of what they do in Changzhou in this previous post) as we clarified our goals and objectives at the beginning of the meeting. Based on learnings from Tuesday we decided to change how we communicated with our contacts, as we had been receiving a lot of information in one go, rather than having a proper conversation with questions and translations between us all. It was also fun today to use Google translate to read some of the documentation available, and communicate with Zhù Min our contact at the organisation. For lunch we were introduced to the ‘Hot Pot’ – boiling and flavoured water in the centre of the table with a variety of thinly sliced meat and veg that you cook yourself, and then dip into a sauce that you can make yourself, for example combining garlic, soy, sesame or whatever you fancy! We had cows stomach (another new taste for me), bamboo, beef, potatoes, veg and those sneaky ducks feet which I’ve very much decided against. Following the kick off session on Monday, we actually made the front page of the local newspaper which is hilarious, you can read it in Chinese right here haha! During the evening we had a group catch up and found out how each of our projects were going and what the status is – was good to hear that others are having similar challenges too and it’s also useful to know that we have each other to learn from, outside of our subgroups. It’s certainly been a fascinating few days, with plenty of insights into Chinese culture and their traditional ways that infiltrate modern day thinking too. Talk about a full immersion into a country!